Every winter, your skin takes a beating. Some years are worse than others, with temperatures zooming from well below zero to unusual highs. What’s a body to do? Well, a body doesn’t have to suffer. 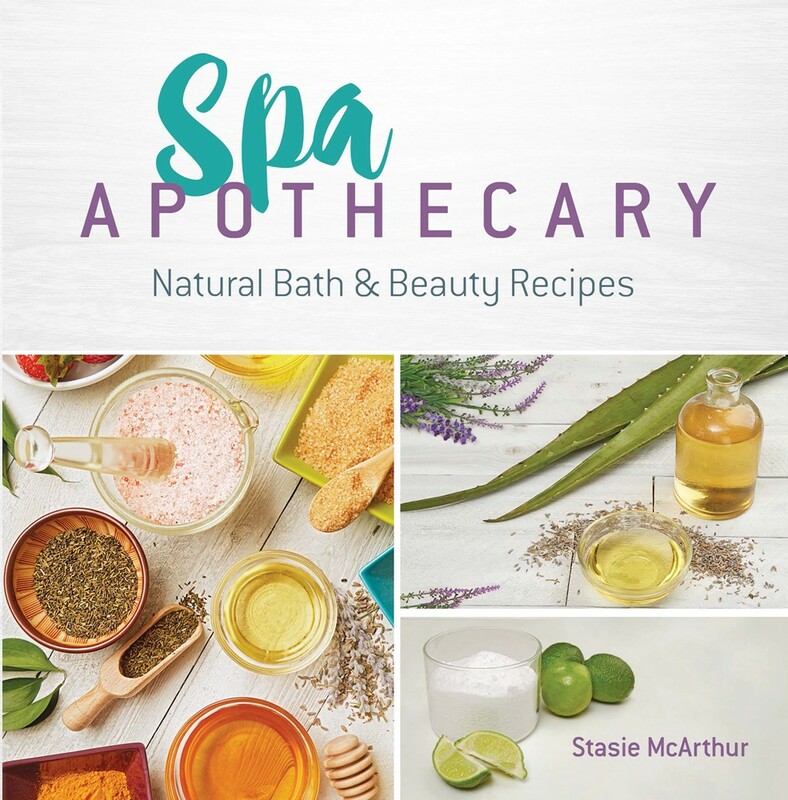 Stasie McArthur will show you how to be good to yourself with healthy and home-made products in Spa Apothecary: Natural Bath & Beauty Recipes. 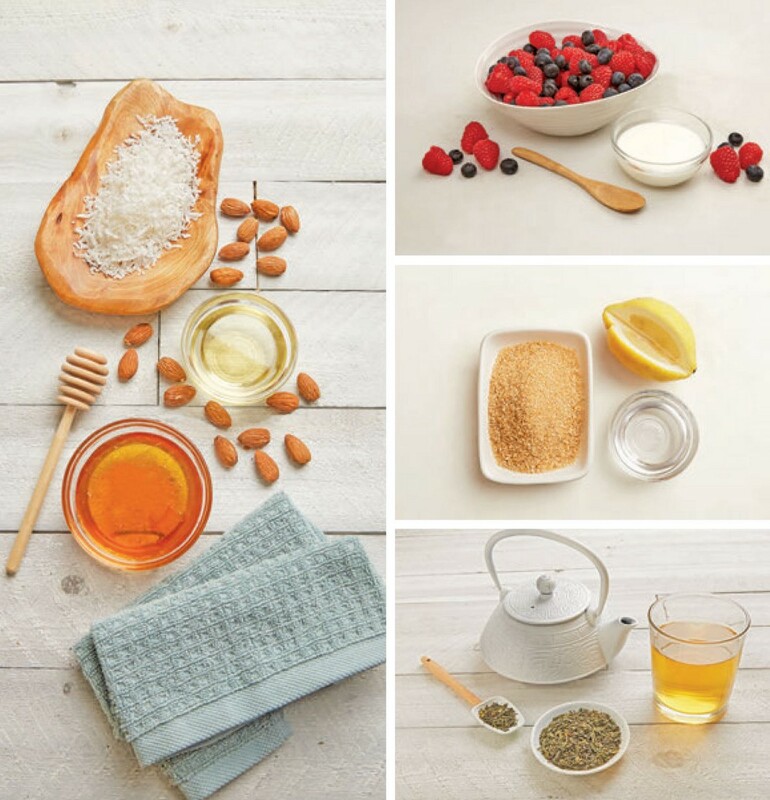 In this book, Stacie provides complete instructions to create safe, natural products in your own kitchen that will enhance your beauty routine or help you start a new one. Spa Apothecary starts you out with some of the basics — sterile equipment is important, as are storage containers. There is a complete discussion of essential oils, which is very welcome. Essential oils are potent, and Stacie cautions that they should be treated like medicine. These are not food-safe flavors! Then Stacie moves into the fun stuff — the delightful salts, oils, herbs, soaps, and other natural products, some of which you might have on hand already in your kitchen. Many of the recipes are for small batches, like the Exfoliating Lip Scrub. Honey, lemon juice, sugar, and coconut oil mixed together will make your lips softer and help keep your lip gloss or lipstick on longer too. That’s a good one to start with for its simplicity. Skincare is generally marketed to women, but there’s no reason men can’t benefit. There are recipes for Shave Butter as well as Beard Butter and Beard Balm, so the bases are covered. Since the oils and masks are different than what you’re used to buying over the counter, Stasie advises giving your skin some time to adjust. Facial creams concocted in a laboratory and stirred in a factory’s vat have a longer shelf life and are simply what you’re used to. But why put something on your face that’s loaded with ingredients you can’t pronounce? Oh, and the other main ingredient in so many lotions and unguents and shampoos and scalp treatments and etc. is often water — and you’ve got that at home! If you’re completely put off by the bewildering array of moisturizers, anti-wrinkle cream, exfoliants you see advertised every day, if you’re a maker or a crafter, and if you’re thrifty, then you’re going to be thrilled with Spa Apothecary. You can find Stasie — aka CraftyStasie — on Instagram! Since 1941, we’ve built our reputation by offering remarkable products at amazing prices. We publish classic literature, coloring books, children’s books, music scores, art books and more.